Concussions, also known as mild traumatic brain injuries, are the most common form of head trauma in the United States. According to the Centers for Disease Control and Prevention (CDC), as many as 2.8 million people are treated for traumatic brain injuries (TBIs) each year, the majority of which are mild concussions. However, even though they are considered “mild” brain injuries, concussions are quite serious. These injuries affect brain function and can cause an array of negative health effects. For most people, the symptoms of a concussion are only temporary and dissipate within days or weeks of the injury. Unfortunately, not everyone who has a concussion is so lucky—while some recover, others live with long-lasting or even life-long impairments as a result of their injury. If you or someone you love was diagnosed with a concussion after an accident caused by someone else's negligent actions, here's what you need to know. Encased in the skull and surrounded by protective cerebrospinal fluid, the brain is a fragile organ made of tissue with a consistency similar to gelatin. The cerebrospinal fluid cushions the brain and protects it from minor bumps, but it is not capable of protecting the brain from more severe blows. When the head, neck or upper body is hit or violently shaken, the brain can rock back and forth against the inner walls of the skull, causing bruises, tears or bleeds in the brain tissue—and a concussion or even more serious form of a TBI can be the result. Sports injuries are a leading cause of concussions, and contrary to popular belief, football is not the only culprit. 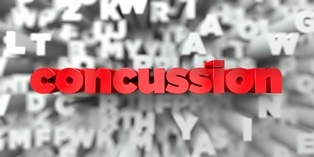 Concussions can occur while playing or doing just about any sport or recreational activity, including basketball, snowboarding, skiing, hockey, soccer, and boxing or kickboxing. Many of the signs and symptoms of a concussion are noticeable right away, while others may not show up until days—or even weeks—later. Also, while some concussions may cause temporary unconsciousness, many do not. In fact, it is entirely possible for someone to have a concussion and not even know it. Also, concussion-related amnesia may be a common trope in television and movies, but not all concussions cause amnesia. When they do, the memory loss is typically less dramatic than what is seen in entertainment—usually just surrounding the event that resulted in the injury. While most people who sustain concussions fully recover, some may experience complications, such as post-traumatic headaches, post-traumatic vertigo (dizziness and spinning), or post-concussion syndrome (headache, dizziness, and cognitive difficulties lasting for weeks or months). People who suffer a second concussion before completely healing from the first may develop second impact syndrome, a complication that causes the brain to swell rapidly. Additionally, some research suggests that multiple concussions throughout a person's life may have a cumulative effect, making them more likely to develop long-lasting impairments. If you suffered a concussion due to another person's negligence, you may be eligible to receive compensation for medical bills and other related expenses. Contact the Morris James Personal Injury Group today to schedule a free initial consultation to discuss your case.